Let’s face it, in a global business market we don’t all speak the same language, so sometimes it may be necessary to use a medium to translate business documents. 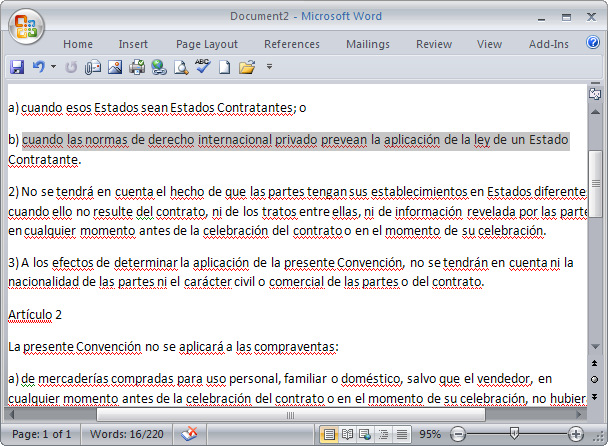 Word 2007 has that functionality built right in. First select the text you need to translate. Next click on Review and then Translate. On the left hand side of the document you will get a Research task pane. Here is where you can select which language to translate to or from. 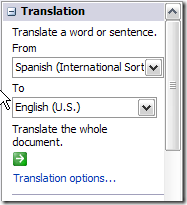 You can also choose to have the entire document translated. 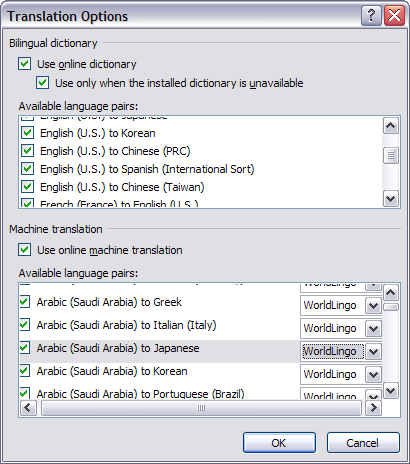 The text you highlighted will be translated via WorldLingo in the lower portion of the task pane. If the language you need is not included by default, just click on Translation Options and select the specific language you need. This is a useful feature, hopefully it will help somebody.